Mystic Pop Magazine states..."One could easily describe Linda Mackenzie as the proverbial pebble that started the spiritual ripple in the pond of life to millions in search of self and a new beginning." Linda Mackenzie is the epitome of the multi-hyphenate! A former telecom engineer who designed worldwide communications networks for the airlines and Fortune 1000 companies, Mackenzie is a mainstay in pioneering entrepreneurial spirit. She launched one of the first used PC stores, a datacom consulting firm, a wholesale gift manufacturing company and was the former President of a mind-body supplement manufacturing corporation. In 1987, Mackenzie developed Epstein Barr/Chronic Fatigue-- one of the most difficult to diagnose and certainly to treat. It appeared as if her life had suddenly come to an abrupt halt as she went from doctor to doctor, under-going the stressful battery of tests before a conclusive diagnosis was made. With a positive approach to life and health, she decided to heal herself through alternative medicine techniques--hypnotherapy, visualization, diet, vitamins, supplements and herbs. Wanting to share her approach with the world Linda shifted her life's work to serve mankind and became a Doctoral Clinical Hypnotherapist Candidate, radio host, award-winning author and national lecturer. Today she heads one of her proudest accomplishments to date, as President of CREATIVE HEALTH & SPIRIT-- a Manhattan Beach based media & publishing company started in 1995 and Founder of the all positive web talk HEALTHYLIFE.NET RADIO NETWORK which commenced in October, 2002. As a former radio host of KPSL, Wisdom, PAX and CRN networks she aired her positive talk radio show to 26 million people on 118 cable TV channels, 41 FM channels, satellite and the Internet in over 241 markets. Today Linda continues to produce and host her radio show, THE LINDA MACKENZIE SHOW, on HealthyLife.Net where her listeners receive useful information on life and health, cutting edge guests and audience participation. She is also a frequent guest on many radio stations and in 2006 she received the ABI Great Women of the 21st Century for Radio Broadcasting. No stranger to TV and film, Linda has appeared on almost all major U.S. network and cable channels, as well as, BBC, German and Tokyo TV. Linda was also a major participant in several award-winning documentaries and produced MANY FACES OF PSYCHIC ABILITY, a HD DVD released in January, 2009. As an author, Mackenzie released her 1998 COVR award-winning book INNER INSIGHTS - THE BOOK OF CHARTS, Creative Health & Spirit, 1995, HOW TO SELF-PUBLISH YOUR PERSONAL GROWTH BOOK, Crossing Press, 1997 and HELP YOURSELF HEAL WITH SELF-HYPNOSIS, Sterling Publishing, 2000, which was subsequently translated and sold internationally. 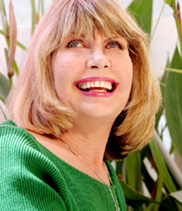 As a feature writer Linda has contributed articles to many magazines including Concepts Magazine, Health & Fitness, Vitamin Retailer, Natural Pharmacy Magazine and currently writes for South Bay Woman Magazine, Kinetics Magazine and Conscious Living Journal. Pursuing her dream to self-empower individuals she created audiovisualization tapes & CDs: the HELP YOURSELF HEAL SERIES, Vision Quest Video & Audio, 1998; the 1999 COVR award- winning TOTAL MIND-BODY-SPIRIT-WEIGHT LOSS PROGRAM; the HELP YOURSELF HEAL MENOPAUSE, June, 2000, which was the first tape to use visualization for menopause symptoms, HOW GET ON RADIO June, 2008; and MANY FACES OF PSYCHIC ABILITY January, 2009, PROMOTE & MARKET YOUR WEB RADIO SHOW March, 2009 under the Creative Health & Spirit label. Having realized her psychic abilities at the age of 8 she found she could talk to angels and ghosts. Her God-based psychic abilities developed and she was even known at times to "disprove" those that claimed the title of "psychic". It would be years later, however, before she would seriously harness her psychic abilities and begin establishing herself as one of the World's most profound and respected psychics. Many celebrities, politicians, musicians and companies confer with Linda because she keeps their identity in the strictest privacy. As a member of the International Society for Paranormal Research Linda was part of many paranormal investigations, including helping discern paranormal activity for the British government and aiding the Los Angeles Police Department. In January 2009 Linda Mackenzie's PSYCHIC SECRETS UNVEILED, a 17- part interactive and display museum exhibit, opened at the Paraplex Paranormal Museum in New Orleans, Louisiana. As a Doctoral Clinical Hypnotherapist Candidate, Linda has an upbeat approach to life and health. "Information and insight is the key," claims Mackenzie, who to date has helped hundreds of thousands of people worldwide in achieving inner peace and balance. "By giving people the tools to access their mind-body connection for self-empowerment, I help them meet life's everyday challenges." A member of the American Board of Hypnotherapy, Mackenzie was also honored with a Certificate of Appreciation for Furthering the Profession from the International Association of Clinical Hypnotherapists and acclaimed as one of AIH's "most prolific creative minds". Linda resides close to the beach in Southern California. Where does she find strength? 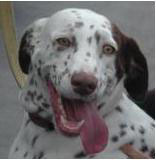 Shammi, a "Pound Puppy" german short hair pointer and dalmation mix likes treats, visualization, food, treats, people, treats, hiking and more treats. With a white star under her right ear she has too many spots to count! Much to the chagrin of people wearing black, Shammi is the official greeter at HealthyLife.Net Radio.